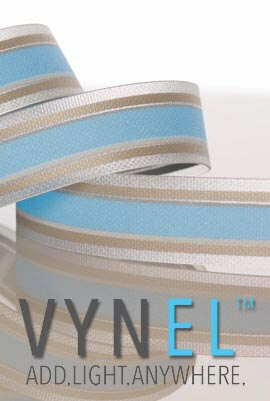 The VynEL™ Decal A3 Panel is our DECAL line of panels. It's super flexible in nature, about 2x the brightness over common EL Panels, and can peel and stick to many hard surfaces, making it an ideal choice for window displays, or applying light to curved surfaces. The DECAL line of panels uses our proprietary blend of materials which is uber flexible, but not shorting on performance. This backlight sign option is also perfect for automotive decals or looking to advertise beautifully and easily. Simply apply a graphic over the face for instant signage! 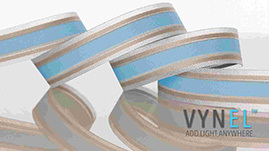 VynEL™ Decal comes with a removable film on the FRONT (lit side). By removing the film, it allows you to stick directly to windows or hard surfaces to create great advertisements, and more. We recommend removing this film by taking a small piece of scotch tape on the corner of the film and lifting up. The adhesive front is strong enough to hold on many surfaces. Lit Surface: 11.25" x 16"
Total Surface: 12" x 17"